This is our second article on the theme of “Value Parenting” and is taken from the book “Sathya Sai Parenting” by Mrs. Rita Bruce. This is in response to requests by many readers to have more such articles after we carried the first article “Teach Children the Joy of Giving” in the May 2007 issue of H2H. The current excerpt is from the chapter “Balancing Discipline and Love” and we hope to bring you more extracts from this book in the coming issues. Let's investigate this subject of controlling or disciplining our children. From the time they are born, until they mature, you are their conscience. When they are infants you rush to fulfill their survival needs. They become habituated to your constant response and the behaviour begins. You are giving them what they want. It will not hurt them to cry themselves to sleep, within reason, if a child is not wet, or hungry, or in pain. You are only interested in their well-being, and are protecting them from getting harmed or overly tired. The sooner they learn to trust your judgment and feel secure in your decisions the more cooperation you may have. As they begin to toddle, their words and actions become challenging , testing you even more to see if you will allow them to do what they want as opposed to what you want them to do. The battle between your conscience and their desires starts very early. The sooner you let them know who is the boss, the less trouble you will have when they are in their teens. Of course, you cannot discipline a newborn or small infant by time-outs, but you can place limits and have a daily routine. Limit their bed time. If they are not ill, let them fall asleep on their own, instead of rocking or sleeping with them. Let them sleep in their own bed, instead of in yours. Let them play in a playpen for short periods during the day instead of roaming all over the house. Incidentally, the playpen saved my sanity. Today, a playpen is looked upon as "How can I cage up my child?" Again it is the overly permissive approach, allowing them to roam and do as they please. Restricting their movement or behaviour has not been in vogue. I used it for short periods of the day, half an hour, and if the child was content playing with his/her toys, I extended the time. They will let you know. I was free to prepare dinner without worrying, "where was this toddler"? The playpen provides the infant's safety and the parent's peace of mind. But today we think how could we be so cruel as to confine our child in a playpen or gated room? Nonsense. It teaches them limits and boundaries. If you are going to have a child, start immediately with your newborn, letting the child know who is in control! Here are some examples of "you say / they say" which typically apply in all households. Do these answers sound familiar to you? It is really very simple. Look down the centre of the two columns, called ‘You say....they say’. This division is the line of separation that creates our child management problems. God has the same "child management" issues with us. He wants us to give up our ego desires and body identification. We hear the voice of the conscience but we, too, would rather follow our impulses. Our children present us with a similar condition; there is little difference. Always, always look to your relationship with God, to determine what your role is as a parent. You are fighting the battle with their ego and it is powerful. I could give you many examples of what they want versus what you want: hours on the phone, not wanting to go to bed, fighting with brothers/sisters, insulting parents, returning home late, watching television, going to movies, not cleaning their room, etc. But let us realize that whatever the circumstances, the underlying cause is always the same, "Your will against their will." 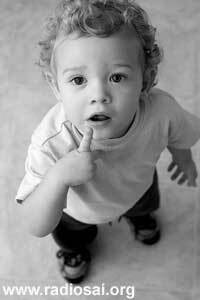 A toddler only knows a few words, but one of the first he catches is "No!" That's plain enough. When they get older they embellish it a little, with phrases as in "you say - they say" or worse. It’s your will versus their will. You don't need many examples on how to discipline, all you need is to know how to say sweetly, but firmly with love, ‘No’. Practise it. If they don't respond then you must enforce it with discipline. The sooner they learn that your word will not be changed, the easier your job will be, now and in the future. Inconsistency allows them to think they can have their own way. The more you give in...the more they test you. Inconsistency gives them greater control; you loose ground. Your job will become harder each time you give in to them. They will continue to beg, plead, scream, throw temper fits, anything to try and persuade you to give into their wish. If they know that you mean "No" when you say it, they will finally get the message and relinquish the struggle to manipulate you. Be consistent! Repetition habituates the behaviour. Swami does the same with us. If we have a harmful desire or habit He makes our life uncomfortable with this desire, until we let go and surrender it. When we are new to the spiritual path, we often prolong the struggle, wanting the desire fulfilled. The longer you are on the spiritual path, the quicker you let go! You simply learn that "what you want versus what He wants" is a lost battle before it even begins. The same process will work with your child. 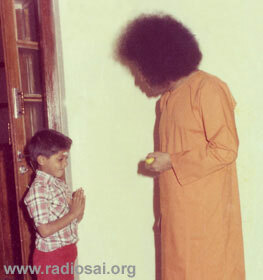 Sai says, "When students do not behave, Swami tells them softly, ‘Bangaru, you don't do that’. If they still do not behave, Swami raises His voice. 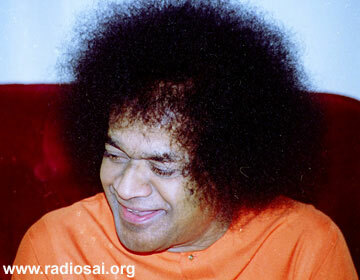 His voice changes but Swami's heart does not change. That you demonstrate." Most of us want our children to love us. It is painful when we have to enforce a rule. We don't like to see them hurt or angry. We want to play with them and enjoy their company. The problem is that when they become adults and do not have the ability to control themselves, their suffering increases because the risks are larger. And I might add we also suffer when they, for example, leave a job, get a divorce, drink too much alcohol, drive recklessly, or ignore their familial duties. In general, we suffer when they suffer. A group of devotees from Madras came to Bhagavan and said, "Swami please visit our Centre in Madras ?" Swami replied, "What is the use? You are not regular in your appointment with God. One day, you commence Bhajan at 5 PM another day at 5:30 PM . When you say that you commence Bhajan at 5 PM God will always be ready at your doorstep. But you want to give importance to a guest politician who was to come to attend the Bhajan. Discipline is my Second Name. Remember this." Our children wandering away from God would be our ultimate failure. This is the main task set before us....to bring our children to God. If we take our duty seriously, make every effort, and our children fail to realize the God within, then we sigh and ponder their karma. You are not responsible for the results, the good or not so good. You can only execute your duty in the best way that you know. When you have done this, and the results are not what you sought, it is up to God to change what you cannot. Swami said, "He alone is the father who tells his son "Child, realize God". He is the true Guru, who leads the disciple to God. Such teachers and parents have become rare these days. All that had brought fame and glory to the country in the past has become a waste, because of the decline of the moral values and behaviour. The educational system is utterly vilified." Suffering is a part of life; we must learn to accept it and go on living, and even loving our living. By placing emphasis on pleasure, we are sending the message that pain is so unbearable that it must be avoided at all cost, and we must find an escape. As Sai says, "Pleasure is a brief interval between two pains." Our job is to teach them that life holds both joy and grief. The more we stress the importance of one over the other, the lesson of treating them equally is not learned. Yes, I know this is certainly a task for the self-realized, but it is important for us to strive for the ideal. Don't place so much importance on seeking pleasure by continuously entertaining the child. They are so highly stimulated today that they cannot seek the simplicity of enjoying their own imagination. They must even be entertained in the school classroom. Is it too difficult for the child to realize that learning is often hard work, and not always entertaining? Is it not the time for entertainment? We are pampering the children too much. We assume they cannot face the reality of life unless we sugar-coat each event. Allow the child to struggle with its own life issues. Our purpose for being in the body is to overcome it, transcend it. If we do not teach them how to face each situation fearlessly, to confront problems and challenges, fighting with a strong will and all their might to overcome the evil forces that are here on earth, then they will succumb. Our conscience is training their conscience, teaching them what is right and what is wrong. This will develop a pattern of behaviour that will sustain them throughout their lives. Sai teaches us, "Do good and have good in return; do bad and accept the bad that comes back; that is the law." If our child makes a mistake, we can teach them how to correct it. This builds their self-esteem and self-confidence, which are essential aspects of self-love. Can we continue to deny our children the art of self-discipline, the core of character building, by spoiling them? 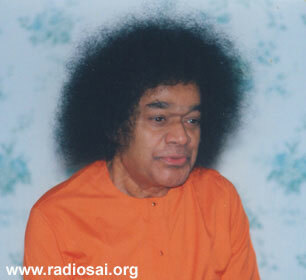 Swami says, "Parents, have the primary responsibility to mould the character of children. Too much freedom should not be given out of excessive affection. Children should be taught to exercise self-restraint and observe discipline in their daily life. If parents are negligent in bringing up the children in their most tender years, it will not be easy to correct them later on."